Summary: England. A century ago, give or take a few years. 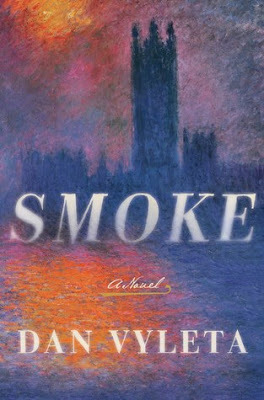 Years ago in an alternate London, children are born corrupted by Smoke. They are not fit for society until the age of ten, at which point they are sent to an elite boarding school where they learn to control their sin – and as a result, their Smoke. Charlie and Thomas are students at the prestigious school where they, along with a fascinating girl named Lydia, soon realize that everything they’ve been taught is a lie; and this discovery puts them in grave danger. Such a fascinating premise but also terrifying! It may be true that one can never indefinitely hide their sins, but to have them present themselves in the form of Smoke and Soot for everyone around to bear witness? Even for one malicious thought? One naughty deliberation? One tiny smutty contemplation?? Yikes. One Gerard Butler movie and I’d look like a genie escaping my magic lamp. And to make matters even more interesting, the laws of Smoke are complicated… because not every lie will trigger it. Some evils may go unnoticed without even a wisp of Smoke or the slightest scent of it. But it’s those other times – the times when the Smoke is summoned by the most trivial indiscretions. Those are the times I would fear most. Though our main characters are young adults, this is not a Young Adult book. But it’s hard to place it in one particular genre; historical fiction, mystery, gothic thriller – all of these fit. This is a very intriguing book, but it is also very detailed and takes some patience on the reader’s part. This is not a fast read by any means, but it is certainly a unique one. I’m glad that I read it, and I look forward to reading more of Dan Vyleta’s work. This is a very unique premise and gah I would not fair well in this world. I would basically be a walking cloud lol. Great review wifey pants. What a scary thought!!! I don't usually read this genre but this book does sound interesting! Bwahahaha ... Gerard Butler. But yeah, I'd be nothing but smoke. This sounds so crazy, in a really good way. Oh my gosh! That does sound terrifying, but also very intriguing! The concept just is so unique and very interesting. Crazy interesting! Wonderful review! !